Located in the prestigious residential area of Serra e Mar, this really cozy and comfortable 3 bedroom stunning villa has a large magnificent private garden. Large private pool. Monchique mountain scenery. Air/con throughout (at no extra charge). Attractive new cream kitchen fully equipped with new appliances & dishwasher. Brand new stylish bathrooms with massage bath & showers. Lovely new comfortable lounge furniture (please watch out for plenty comfortable sofas when you rent). Large flat screen television w/satellite channels, home theater, lot of DVD films. Charming & comfortable dining room. Stylish-furnished bedrooms + sofa-bed. Laundry with washing machine & dryer and some sport equipment. 5 mins to world famous Penina golf course, 10 mins to Morgado golf course. Within easy reach of beaches, autodrome, shopping, leisure sport, excellent restaurants and nightlife in Alvor, Portimão, Lagos and Silves. Several excellent restaurants within 5 mins drive. This is the kind of villa you will love to come back to year after year! 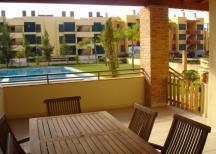 3 mins to world famous Penina golf course 10 mins to Morgado golf course. There is plenty of fun for the children with so many sandy beaches and rocky coves within 10 to 15 minutes, Slide and Splash, Aqualand and Zoomarine all 15 to 20 minutes away, tennis at Penina, horse riding just 15 minutes, wind surfing and sailing at Alvor beach just 10 minutes drive, the multi screen cinema in Portimão is just 10 minutes away. 7. We will email you further details when we have your booking –including easy to follow directions and maps to and from Shopping, Beach, Alvor, Restaurants etc. –anything for you to have an easy, comfortable and enjoyable stay. We can arrange an airport transfer for you, a group of up to 4 people is 100 Euros return and the driver will take you directly to the villa and back and give you the keys. (The keys will then be handed back to the driver on your return transfer). Please quote reference: a4m: 1375 villa "Villa in the prestigious Serra e Mar"